At Minicabs we know that we offer the very best London minicab service – a claim that’s backed up by a huge number of our passengers, who consistently use us due to our promptness, politeness and great value for money. We’ve been operating for a number of years now, and in this time we’ve honed our skills and business to create a great taxi company. What’s more, we’ve built up our number of taxis to ensure that we can cater to everyone’s needs, throughout the area we cover. 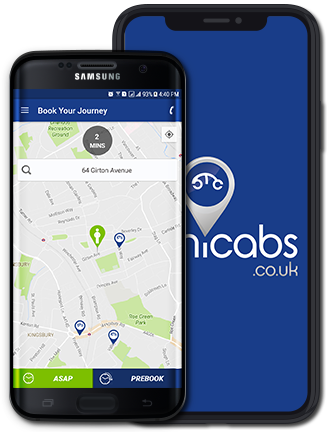 We intend on improving in the future as well, by adding new facets to the Minicabs such as the fantastic app we have just introduced for Apple and Android users. Our success is down to a few things that we regard to be extremely important, with the first of these being the fact that we always strive to offer the best value for money to all our passengers. This doesn’t just mean that we make sure our fares are kept as low as possible, but it also means that we go above and beyond what is expected. Of course, like any good taxi company, we always provide clean cars and friendly drivers, but unlike others we add a personal touch minicabs such as carrying your bags for you, making sure your children get to school, and generally helping in any way we can. 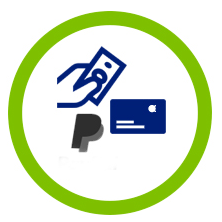 Book you cab by using any of three payment options, "Cash, Card, and PayPal"
Booking success ratio is about to reach 100%. That's why we are called No 1 Company. 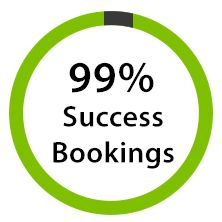 Another part of our success is the fact that we’re reliable. We know that trips to the airport or school runs can be stressful, so we endeavour to ensure that our drivers always get to you on time, so you aren’t left waiting around and worrying. In fact, we’ll often turn up early and wait, just to ensure that you don’t have to. The final reason why we’ve grown to become one of the area’s biggest taxi companies is simple: we offer a huge number of services, meaning that we are perfect for all manner of different tasks. We’re able to drive you to the airport, help you move house, transport your children to school, drive you home from hospital, or help you in many other different ways. In fact, if you have any reason for a taxi, we’re almost certain we’ll be able to help. So, why not contact us today to find out how we can help you? You can call us on +44 207 284 0000 or email us via bookings@minicabs.co.uk or alternatively you can use our app to book a taxi in seconds!